Yet, the pope’s role seemed to have little influence on the way that they voted. Despite his charismatic popularity among Catholics worldwide, it seems that Pope Francis’ political message against marriage equality is not as powerful as the power of people who want to respect human dignity, rights, and equality. I think, especially among LGBT Catholics, we are seeing his popularity lessening. Remember – he still is part of the “old boys club”. He has shown his true colors in this issue especially! And what may be the result of this is that the Pope will begin to lose the credibility he has built up and once he is thought to be as “old boy” as the rest, he will be ignored. Francis B. your last comment SAYS IT ALL! BRAVO! 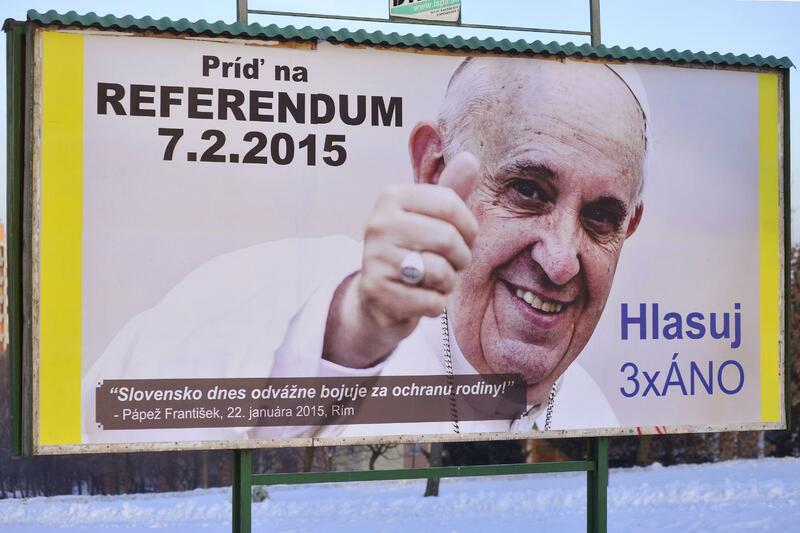 Unlike Poland, Slovakia and especially the Czech Republic are only nominally Catholic. The LGBT communities in all three face enormous prejudice and not infrequent violence to persons & property. Be cautious in celebrating this absence of voter turn-out as statement of LBGT victory. More likely has to do w/ voter apathy that worked in our favor. But hearts and minds are not changed — they just aren’t particularly susceptible to the Pope or any Catholic ranting. Yes Anne. I agree with your analysis. Voter apathy worked in our favor, and tells nothing of a change of heart. I don’t know how to express my sadness that Pope Francis was on the wrong side of this referendum and has taken his position against equality. I had hoped he would lighten the pathways around the globe to end discrimination. Very sad. The secular world is more inclusive of God’s people than the church of our Lord itself. May God forgive us.